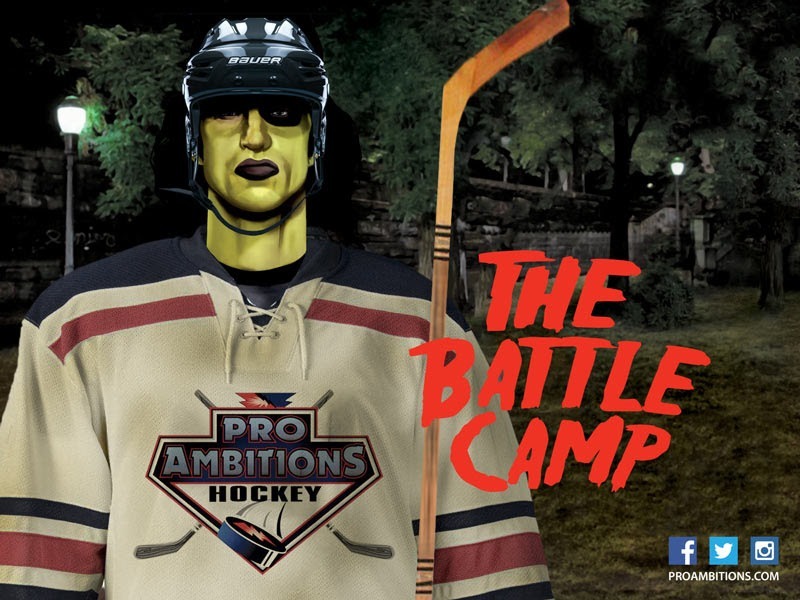 A Brilliant Disguise - A Hockey Article by Jeff Serowik - Pro Ambitions Hockey, Inc. I thought this is a great article to pass along on Halloween. I have not thought about this realization that took me way too long in my own hockey career to figure until recently as I currently have the true pleasure of assistant coaching a very fine group of young men at the Noble and Greenough preparatory school in Massachusetts. It is a formidably competitive hockey league which I know well as I am an alumnus of a rival school, Lawrence Academy. I was drafted in the 5th round as a junior back in the day and seeing all of the scouts at the Nobles games is bringing back great memories for me. Admittedly, a remark my coach at the time who is now a friend keeps resonating in my head. ” Serowik, do you think people in China give a %$# that you are drafted, get your head back in the game.” He was right and I am glad he reminded me of that. I am laughing now thinking of him saying it as I was dressing in the locker room, eating in the dining hall or walking to class. At Nobles where I am assisting in coaching at such a high level of prep school hockey, I am learning from a remarkable head coach who is a brilliant tactician, an assistant coach who I see as a very cool mix of old and new school hockey philosophies and from a group of young men that I believe are earning their successes on and off the ice and will for years to come. One thing I am struggling with is sets of eyes looking at me on the bench, wanting and hoping for more playing time. Thinking back to my time as a player and especially when playing for the Penguins, this was me. I was skilled enough to be there but the talent was so deep I felt I was always in my own personal battle for more playing time. That is hockey. You are not alone. No crying in hockey. Keep on your course and keep the faith. Trust me every player has been there. A really great piece of advice to everyone wanting more playing time may sound simple but it is very important. Hide your weaknesses and highlight your strengths. This goes for both the stars and what I call the “non stars” on the team. All are equally important members of a team. The biggest weakness in my game was my hands. I remember mastering what I refer to as the “outlet pass”. Over handling the puck was my nemesis . Trying to beat guys one on one while stick handling around them was not my game. Although at times I thought it was. I found that when I over stick handled…Benched. I learned that in my defensive end I faired much better making one quick move, pass it out. I had a hard accurate pass and that was my strength. I began to take pride in my tape to tape passes. For me that became like the feeling one would get when scoring a goal. I always say, put the puck in the forwards hands and let them work their magic. Figuring out that passing/shooting was my strength and highlighting it, hmmm this tactic was working. More playing time for Serowik. After practice I would work on my weakness: stick handling. I did it all, figure eights, golf balls, tennis balls, through cones, forehand, backhand, anything to soften up my rough set of paws. Practicing saucer passes against the boards. Over and over and over and over and over. During my pro years, I went to school parking lots every day in the summer to stickhandle by myself where I had enough room and could focus with nobody around. I did whatever it took to work on my weakness. Story about disguising your weakness… I will never forget a good friend of mine who I am not going to mention by name, but also played in the prep school league I am currently coaching in and we both played in. He went to Belmont Hill-hint,hint…and is probably going to laugh if he reads this. We were both playing in the IHL, minor league finals on opposing teams. Was a fun season in my pro hockey career as I played for the Las Vegas Thunder. Living in Vegas in the Luxor Hotel for a hockey season with my teammates was something I never could have imagined I would be doing. Anyway… during warm ups he asked me why I was wearing wrist guards. I told him my wrists were torn up from getting chopped. He said, ” You carry the puck long enough to get chopped, buddy?” In other words, may I repeat, know your strengths and weaknesses. The top player on every team has weaknesses too. Disguising them is the key, learn to not call attention to them. No hockey player is expertly skilled at all aspects of the game. A skill acquisition depends on many things. Level of keenness, confidence, competitiveness, self esteem, aggression. Acquiring a skill has a lot do with a player’s aspirations, how much they enjoy the sport, persistence. So, working on skills is important but hiding what we are not as skilled at is also a strategic move. I found the ” Great One” Wayne Gretzky quoting the same mantra throughout his own hockey career, especially when he coached. ” Know your strengths and hide your weaknesses.” In try outs, or while being scouted. Don’t try to do too much. Do less, be solid, be reliable, and leave less room for error. Embrace your role on the team at the moment. Not to say that your role won’t change throughout your career as your grow and hone your skills. Player depth is always changing… trades, injuries, kids moving on or graduating, playing solid and reliable will begin bumping you up for more time. Assess where you currently stand on your team and know your limitations. When I played in the AHL and IHL I carried the puck a lot more, was on the power play, penalty kill and actually still today hold the record for most goals by a defenseman with the AHL Providence Bruins and won the Eddie Shore Award…When I played for the Penguins I became the master of the outlet pass and felt great satisfaction for hard tape to tapes. I was much lower on the depth chart in the NHL, plain and simple. I quickly had to figure out what was expected of me in order to get more ice time. If you are not playing a lot, when you get in there, keep it simple. If you are a grinder, don’t over handle the puck, grind it out. If you have gifted hands and can dangle, go for it but do it responsibly. If you are too slow, question what kind of shape you are in, that is something you can control and change. You can train, condition, and eat well to improve that, make that your mission over the summer. 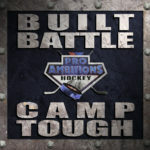 Come back in the fall with what I call the “summer hockey growth spurt”(also an archived article on the Pro Ambitions website). Are your legs getting tired? Do fifty squats every day like Jaromir Jagr does. Work ethic is another thing you can control. Block shots. Yes it hurts but realize it is now an integral part of the game and has even become an NHL stat. You don’t have to be tough but you do have to be courageous at times. For example, take the hit to make the play. Video is a superb teaching tool…. In prep school, college and the pros, speaking as a defenseman now…you never want to be the movie star on the video. I knew after a game if I did not make the right defensive plays and cost the team a goal or goals that I would be getting a lot of “air time” the next day in practice while viewing the video as a coaching tutorial. Watch your favorite college or pro players on TV. Study what they do and don’t do. Video tape your son or daughter’s youth hockey game. Find a good hockey coach or hockey mind to go over the tape with your child. Show your kids, don’t tell them what they are doing right and wrong. What a great training tool for little guys in our age of the high definition mini hand held cameras at affordable prices. Start using them. In closing, some words to live by…a few really good ones that are true blue. Any guy who can maintain a positive attitude without much playing time earns my respect. Do not compare yourself with other people. DO YOUR JOB. In order to excel, you must be completely dedicated to your chosen sport. You must also be prepared to work hard and accept constructive criticism. Without 100 percent dedication, you won’t be able to do this. It’s not the time you spend at practice that counts; it’s what you put into practice that makes the difference. Sports ideally teach discipline and commitment. They challenge you and build character for everything you do in life. I’m a great believer in luck. I find the harder I work, the more I have of it. You always pass failure a few times on the way to success. The successful warrior is the average man – with laser-like focus. Always keep your composure. You can’t score from the penalty box. and when you meet him/her they will beat you. I always say these in my mind, been saying it so long not sure if I made it up or heard it from someone so I apologize if it is not mine. Last quick story…the summer before my last year pro. My agent called me while I was sitting on the beach on Cape Cod, it was the end of summer. I was going to finish up my pro career in the IHL playing in Kansas City. I kind of had this resolved in my mind as there were no NHL offers this summer. Honestly, I did not train as hard as I had every other summer of my entire life because it was going to be the first fall of my entire pro career I was not reporting to an NHL camp with a contract. Not saying I am proud of this. My agent called to tell me that the Penguins have invited me to rookie camp. I had never been to camp without a contract and was insulted to be a thirty year old guy invited to a rookie camp. Not to mention how I felt about my summer training… I had trained but not up to the insanity type of training I typically did. I told him I did not want to go. I was pleasantly surprised to reconnect with an old hockey buddy at our Nobles game last week…he is now an NHL scout and was there to scout players. Seeing him brought back the memory of a really important phone call I received from him that same summer day. He happened to call me right after I hung up with my agent. I told him what the Penguins offered. He said something to the effect, ” Are you crazy? You are not going? That is what we play for, any chance is a chance. Don’t be an idiot Jeff.” After I hung up with him, I called my agent back and started to mentally and physically prepare once again for my 10th NHL camp, note is was Rookie camp which happens a week earlier than regular camp. I had not been to a Rookie camp since my first year out of college, my first year pro where I was a legit rookie. To make a long story short. Going through camp, things went well on a daily basis. Day by day guys were leaving. Rookie camp ended and I was still there. Injuries started cropping up. Guess what, I made the team. Sometimes I think kids question whether hard work pays off . The older you get you will realize that… It will, it eventually will in hockey or some area of your life you least expect it to. Good guys eventually finish first. We all take our hits, keep at it kiddos. Do NOT give up. Remember “it could be you and it should be you” right? It is going to be someone, why not you. A dream becomes a reality when you make a plan. Plan your work and work your plan. All the best and have a happy and safe Halloween! !